At what stage in the battle, are warriors most likely to give up? I think if a warrior is going to give up, it'll be before he/she even begins: If you’re beaten in your mind (especially by the enemy), you’re beaten before you even begin. 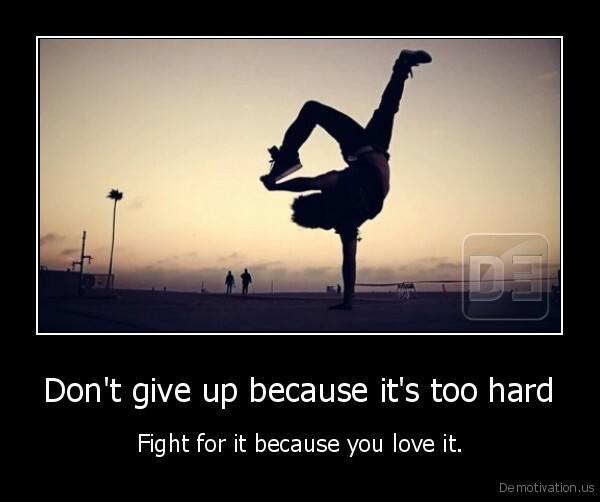 i've always heard that most people give up the fight just before the victory. a good read is Mark Batterson's IN A PIT WITH A LION ON A SNOWY DAY. covers the subject well. Anyone can easily give up when other people are against you. However, we are blessed by grace alone to have our heavenly Father in our corner. For if He is for us, who dare stand against us? I've read it and it's a great book. I think a warrior is most likely to give up after she/he has failed. In the moment of self-pity and shame it is easiest to lay down and forget all God has done before because we want to reset.